If you walk into a new Betenbough home, you’ll notice there are only Kohler water fixtures throughout the home. 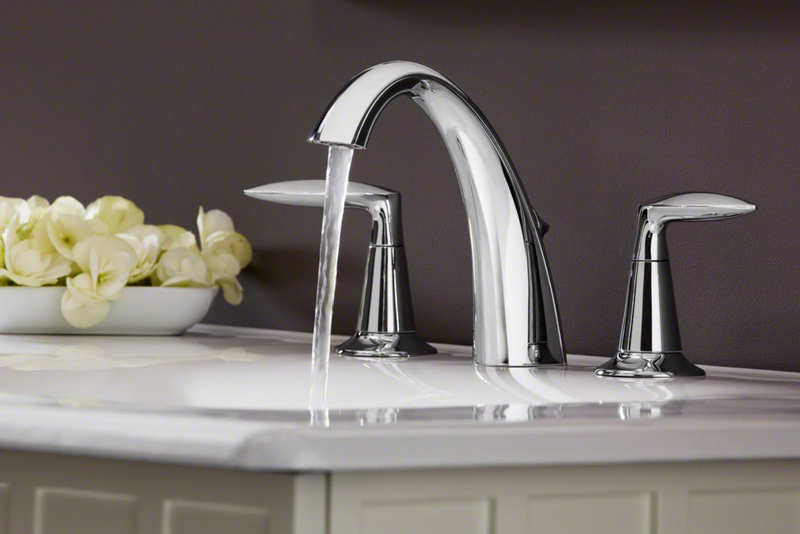 We are now one of only two home builders in the country that exclusively utilizes Kohler water fixtures. We chose these fixtures for a variety of reasons, the main one being that Kohler maintains superior design while still creating sustainable products. Kohler has won the first-ever WaterSense Sustained Excellence Award and all products bear the WaterSense label, meaning they offer significant water savings and meet strict performance standards. In addition, Kohler has committed to reducing their carbon footprint and achieving a net zero environmental footprint by 2035. The Kohler Commitment focuses on three strategies: environmental footprint, education and product innovation. By reducing its carbon and industrial-waste footprint each year, Kohler is focused on achieving a net zero footprint. This means the amount of energy the company uses is roughly equal to the amount of renewable energy it creates. Which Kohler products are in a new Betenbough home? The Alteo showerhead minimizes wasteful over-spray and maximizes every drop for a more intense flow of water. The Alteo faucet offers a flow rate of 1.5 gallons-per-minute, which is 30 percent less than the federal mandate of 2.2 GPM. The ceramic disc valves surpass industry longevity standards two times for a lifetime of durable performance. The Bellera faucet, included in every Betenbough Homes kitchen, has a three-function sprayhead with spray, aerated stream, and pause settings to help you minimize water usage when you need to pause water flow. Kohler faucets with low-flow aerators deliver up to 45% water savings! All Kohler finishes resist corrosion and tarnishing, exceeding industry durability standards. Ultimately, our homeowners benefit from these amazing features and we are confident they’ll be a great asset to all new homes going forward! If you have specific questions about the Kohler products that will be in your home, contact a Betenbough Homes sales team member.